Can I remind all plotters of the importance of following best practice in matters of health and safety. An unfortunate incident this week came as a timely reminder of the need for vigilance at all times. 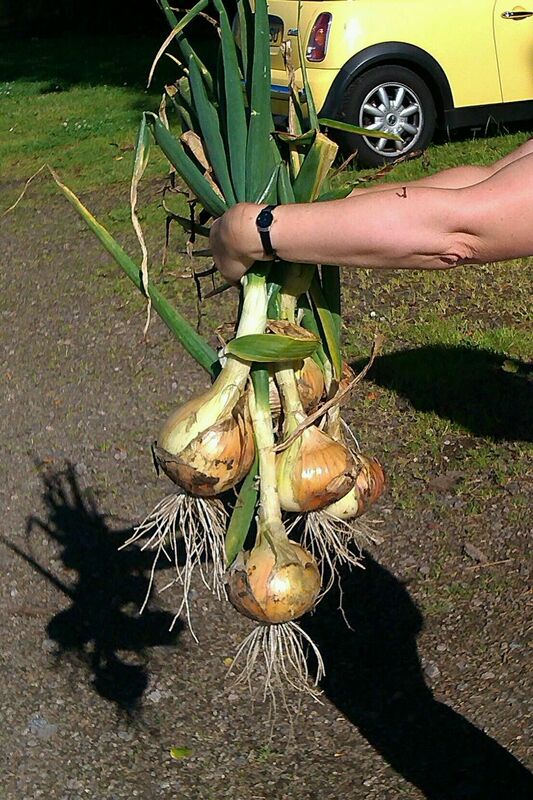 Apparently, Shiona from Plot 71a was about to leave with a batch of her spectacular onions when she met Stuart. Ever the gentleman, he offered to lift them into the boot of her car: however, he failed to carry out the approved risk assessment, misjudged the weight by several kilos and did himself a nasty mischief. I hear he left the scene moaning and clutching his back – well, I suppose it might have been worse! Wow! That’s what I call an onion! As they say – be careful out there. Thanks to Shiona for the photo, but I should say she is in no way responsible for the story.